“That’s My Jam” Jar – An organic strawberry jam jar from your local farmers’ market will make the ultimate pièce de résistance. 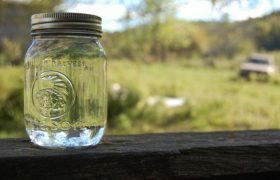 Your placenta is special, hyper-local, and organic – it deserves to be stored in a jar not found in stores. Replace the boring old label that says, “That’s My Jam” on the label because duh, it is literally your jam! If you like to make a sassy joke with your stem-cell-rich jar of gold, channel Aunt Jemima or Paul Newman by adhering a sticker of your face to the lid. “19 Kids and Counting” Jars – Having more than one child means a basement full of nutrient organ. 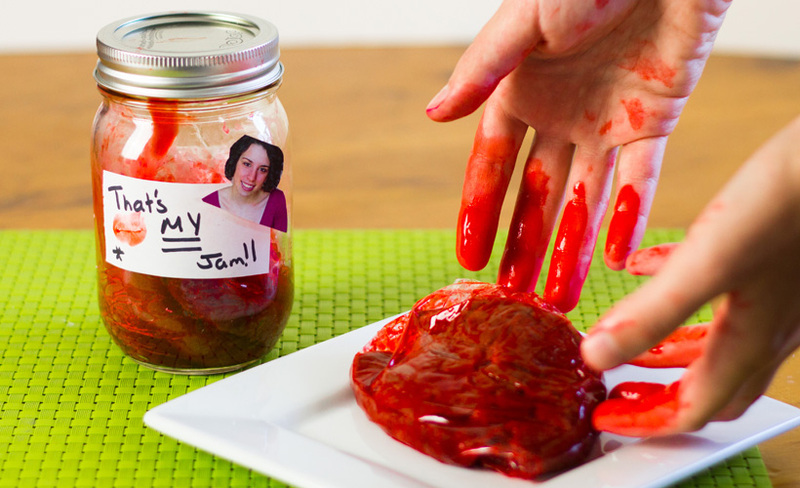 Like the TLC show 19 Kids and Counting, all of your placenta will be dressed the same – in a recycled jam jar – but each of your placenta organs will have its own personality. 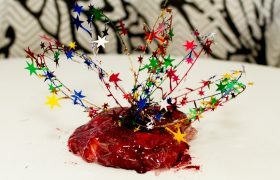 For example, the placenta for your first child might have enriched a very strong and sturdy personality. In that case, use a Smucker’s jar because even if you drop it, it doesn’t seem to break. Once stored, tie a blue or pink ribbon depending on the gender of the child, because gendering placenta is adorable! 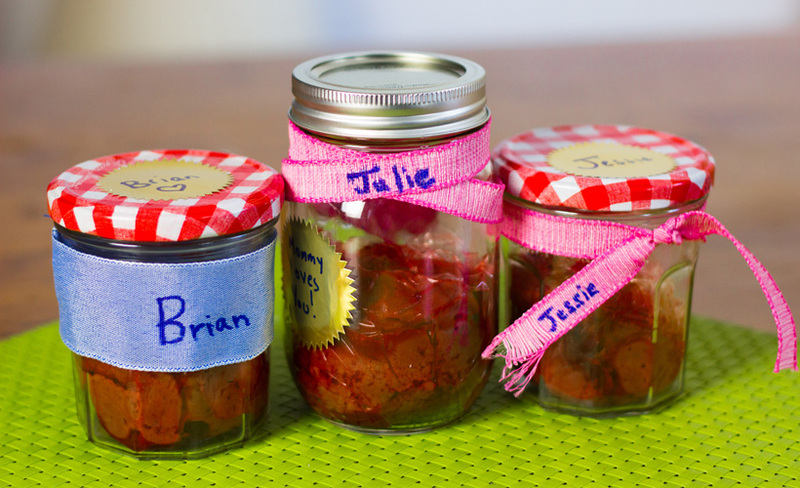 Write the name of your children on the ribbon so that they can come to your recycled-jam-jar-placenta-storing-shelf and truly find themselves there. This creates a wonderful tradition, especially if you have a child with a blood or immune-related disorder! Just remember, if the seal has popped, do not let him eat it. “He Said, She Said” Jars – Want to include your husband in the packaging of your hematopoietic stem cells? Well, here comes the, “He Said, She Said” jars, a great date night activity. 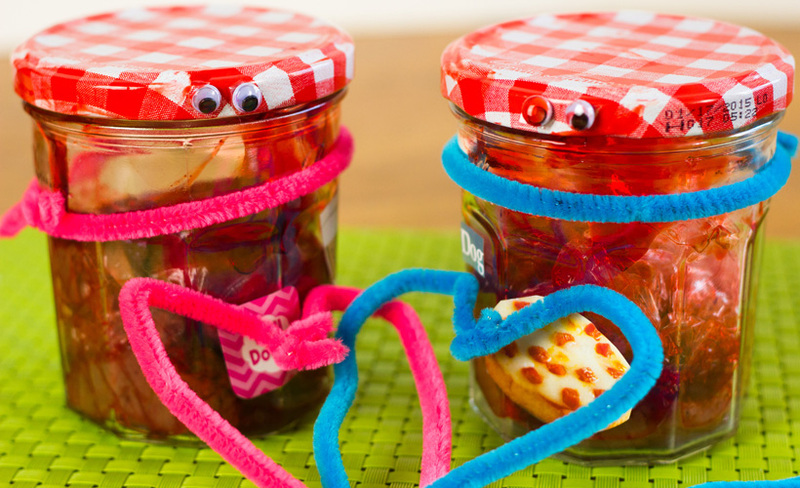 Take two of the same recycled jam jars (because, love) and get out all your craft supplies from your craft supply room! Crayons, markers, construction paper, stickers, pipe cleaners, paper mache, googly eyes, cellophane wrap, romantic notes, old Valentines Day cards – anything will work for this arts & crafts love fest. Once the jars are decorated, send your placenta back to a National Cord Blood Program Technician to evenly slice your placenta in two. It might be two placenta bits for two recycled jam jars, but it comes from one very serious love. “I Can’t Believe It’s Not A Jam Jar” Jar – Shock your sisters-from-another-mister with storing your placental blood in jar that once housed food that was not jam! Remove the jar’s original label, and do not decorate. 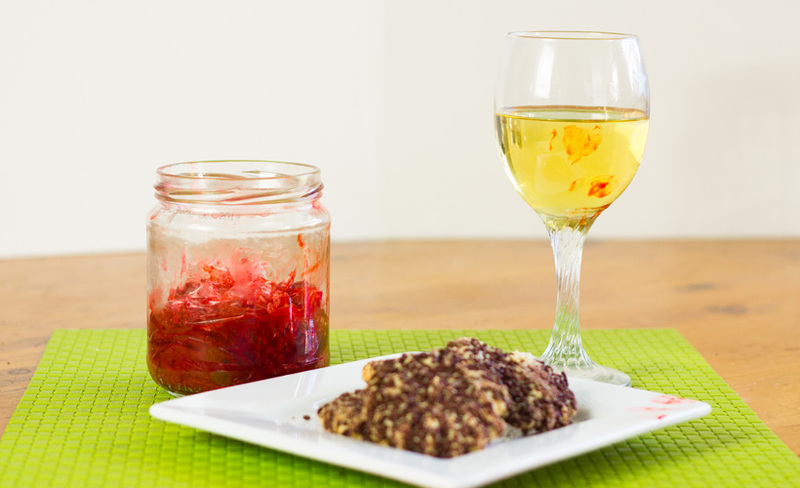 Then invite your girls over for brunch and play the drinking game, “This Isn’t A Recycled Jam Jar Storing My Placenta, So What Kind of Jar Is It?” Every time someone misses, they need to take a sip – OF YOUR PLACENTA! The girls will really love this one. Enjoy these fun recycled jam jars that absolutely scream, “YES, I’M STORING MY PLACENTA!” because if they didn’t, someone would accidentally eat your placenta, which is only good sometimes. Now get jarring!